The atmosphere around the UW basketball program is that they are on the verge of a true breakthrough – the Huskies’ first NCAA tournament appearance since 2011. But Mike Hopkins now has to walk a fine line – keeping his players hungry while not letting them succumb to expectations that are growing exponentially. 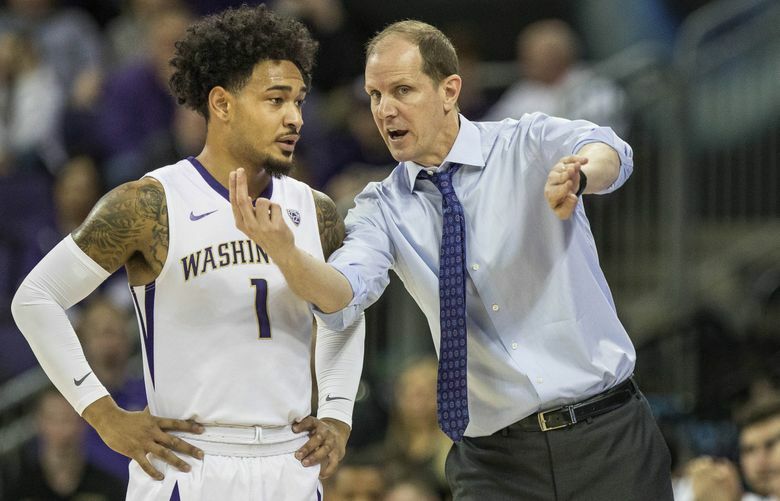 By now, Washington players are used to the frenetic energy of men’s basketball coach Mike Hopkins, who is just as likely to aggressively chest bump his players during a drill as he is to drop down and do pushups in the middle of a fiery tirade. But not junior guard Quin Barnard, a walk-on under Lorenzo Romar in 2016-17 who sat out last season but has returned to the program this year. When Hopkins was “on one,’’ in the words of junior center Sam Timmins, lambasting the team for their poor effort in a recent scrimmage, Barnard watched in stunned disbelief. “What. Was. That?’’ he asked Timmins afterward. “We all laughed afterward and told him, ‘Welcome to the Coach Hop Experience,’ ’’ said senior guard David Crisp. Returning Husky players had learned a long time ago that Hopkins’ passion, while startling at first, was also contagious. And, more importantly, they’ve come to realize that it all comes from a place of love, in Crisp’s words. Here’s another vital conclusion that Husky players came to in the midst of Hopkins’ unexpectedly successful debut season: The Coach Hop Experience works. The Huskies exceeded all expectations by finishing 21-13, earning Hopkins the conference’s Coach of the Year award. Now the buy-in to Hopkins’ methods – including the zone defense at the heart of it — is complete. The atmosphere around the program is that they are on the verge of a true breakthrough – the Huskies’ first NCAA tournament appearance since 2011. But Hopkins now has to walk a fine line – keeping his players hungry while not letting them succumb to expectations that are growing exponentially. The Huskies have 95 percent of their scoring back, are ranked nationally in the Associated Press preseason poll for the first time in eight years, and are coming off an impressive 18-point exhibition win over seventh-ranked Nevada last weekend. They officially open a rugged non-conference schedule on Nov. 6 against Western Kentucky. The Huskies won’t catch anyone by surprise with their zone – but Hopkins is counting on the fact that they’ll execute it much better with a year’s experience. He’s driving them to improve on two key areas he felt sunk the team last year – assist-to-turnover ratio, and defensive rebounding. 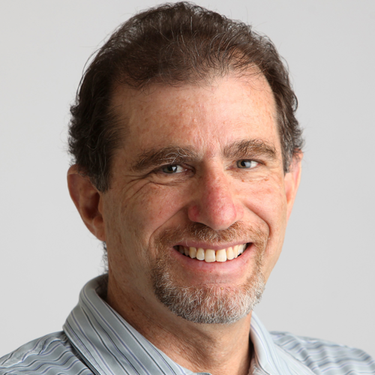 Most importantly, Hopkins points out that the ultimate goal – a national championship – is still out there, and to get it they must take the first step by making the tournament. Hopkins, as usual, has a whole catalog of motivational tactics he’s calling upon to drive his points home. At last week’s kickoff news conference, Hopkins mentioned, through the course of his half-hour Q and A, a host of aphorisms he has thrown out to his players as tenets of the Hopkins Way. Raise the bar. Never be happy. Always moving forward. One more (as in one more pass, to create the best possible shot). Try to keep the temperature at 72 degrees (to avoid emotional ups and downs). Where focus goes, energy grows. You get the picture. Don’t think Hopkins has forgotten what happened last year after the Huskies stunned seventh-ranked Arizona on Dominic Green’s buzzer-beater. Suddenly the toast of college basketball and in the driver’s seat for a tournament bid, the Huskies lost seven of their next 11 to finish the season. They were ousted in the first round of the Pac-12 tournament by Oregon State and were defeated in the second round of the NIT tournament. Thybulle expressed the same sentiment slightly differently. “It was a little bit of a trend last year – we struggled with success,’’ he said. With the likes of Thybulle, Noah Dickerson, Jaylen Nowell and Crisp all back, with the added experience of bench players like Green, Naz Carter and Hameir Wright, and the addition of a couple of freshman “bigs,” more success should come. The question that drives Hopkins is whether they can sustain it, and elevate it. The thing about this year’s Husky team is that their dreams are more expansive – and realistic — than they’ve been in a long time.